You see that spike? It was around 11th April, 2018. 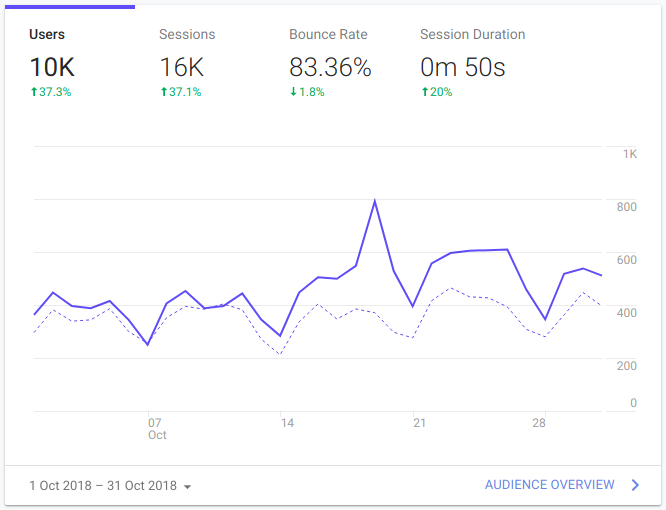 I’m still not sure what has sparked that much of traffic(suddenly) onto my site but it was huge but I suppose it was all happened because of the SEO optimizations I had done previously. 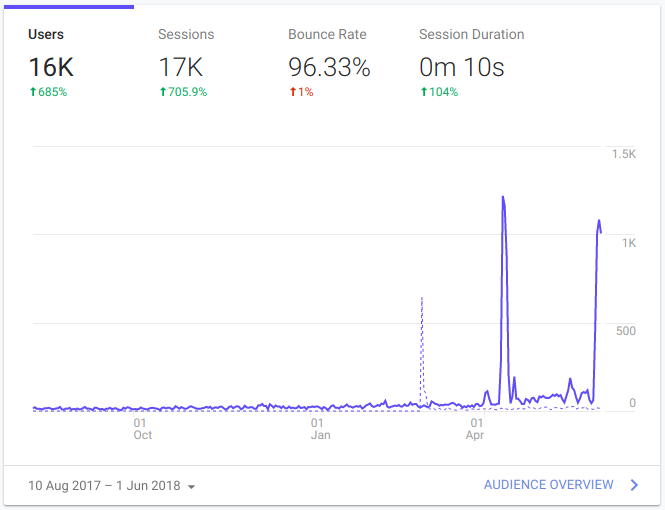 It had attracted around 1.2k users in a single day. And that has greatly benefitted the app go up in ranking across search engines. 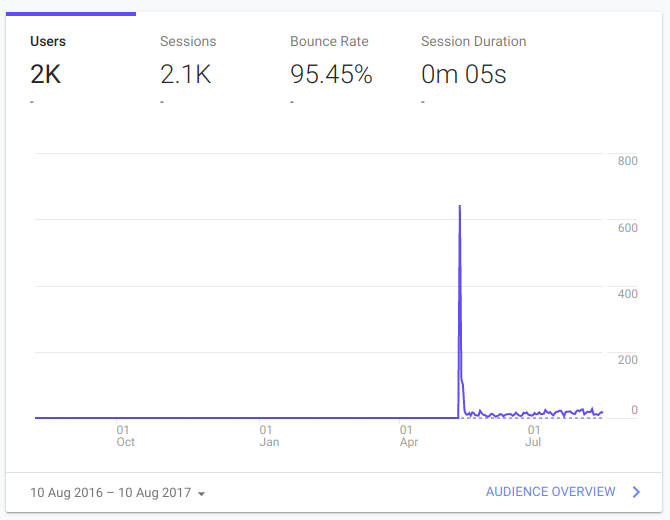 From this point onwards, the webapp has started getting a significant amount of traffic everyday. The above screenshot is of July-2018’s analytics. 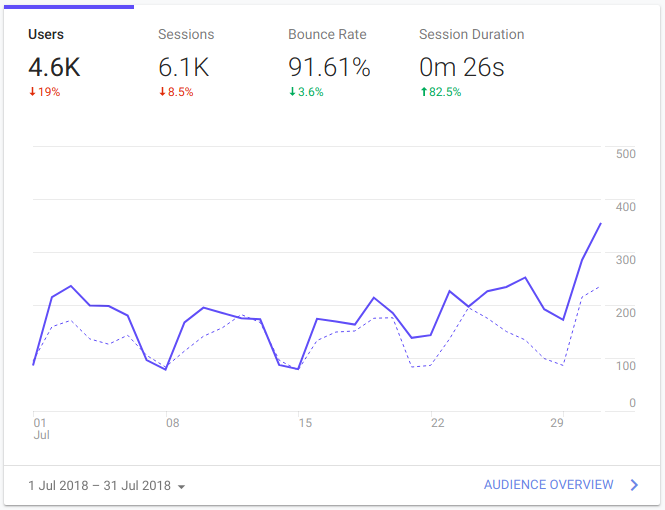 As you can see, the traffic has started from 80–100 users per day to as much as 350 users per day towards the end of the month. 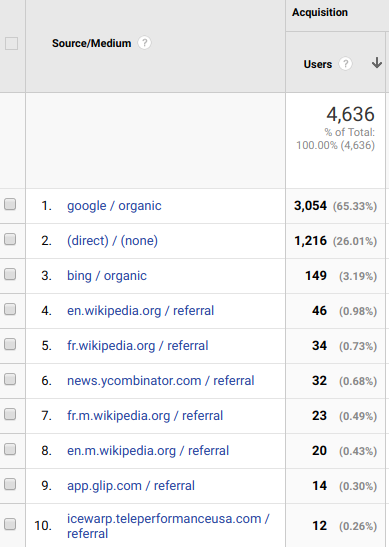 This is all thanks to the SEO that have been optimized over couple of years and it was all organic.